Yet a significant proportion of people don't have their eyes examined at regular intervals, while many people have never had an eye examination. Why? Part of the reason is that eyes, unlike teeth, don't normally let you know in an obvious way when something is wrong. Often, because sight deterioration can be very gradual, people genuinely don't notice that they are not seeing as well as they could. Regular examinations are important as the sooner a vision problem is detected, the greater the chance of successful treatment - this is particularly true with young children and elderly. More than just identifying whether your eyesight needs correcting, the eye examination can reveal a number of other underlying health problems such as high blood pressure or diabetes. It is a vital health check that should be part of everyone's normal health regime. It is very important that your practitioner knows why you are having your eyes examined. It may just be your routine check-up or you may be there for a specific reason such as VDU screening. If you are having an eye examination because you are experiencing problems with your eyes or vision your practitioner will need to know what symptoms you have, how long you have had them and whether any changes have happened suddenly, or slowly over a period of time. You must also tell your practitioner if you are taking any medication. He should also be aware of other medical information, such as whether you suffer from headaches, currently wear spectacles or contact lenses, or have any close relatives with a history of eye problems. Your eyes will be examined both internally and externally. This will enable an assessment to be made of the general health of your eyes and identify any other underlying medical problems. 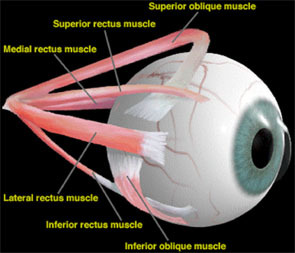 The interior of your eye will be examined using an instrument, which shines a light through the pupil, allowing a detailed examination of the internal structures. Other test frequently carried out are, for example, those for glaucoma or colour vision deficiencies. It the examination shows that you could benefit from vision correction, then the practitioner will ask you to look through a variety of trial lenses and ask you to express an opinion on the effect that the lenses have on the quality and clarity of your vision. Additional information, which will help your practitioner to make accurate assessment of your requirements, is, for example, your occupation, whether you play sports or have any hobbies. Your practitioner will now have a detailed knowledge of the health of your eyes, how good your vision is, and any special requirements you may need. This information will be explained to you, but remember, if you don't understand anything or if you require more information please ask your practitioner who will be delighted to help. When you choose spectacles or contact lenses you will want to be sure they are suitable for your lifestyle, comfortable to wear and attractive. To help you make the best choice your practitioner will gladly offer advice on the following points. Fashion and image are important factors, but you should also choose a frame that's compatible with the lenses you need, as well as one that's made from a suitable material. Advice will also be available on the frames most suitable for your face shape and colouring. Don't be afraid to experiment or try on as many pairs as your wish. Advice will be given on the most suitable lens for your particular requirement. They can be made thinner, lighter, flatter, reflection-free, tinted, photochromic and in plastic or glass. Most optometrists and some dispensing opticians can supply low vision aids. When you collect your new spectacles, they will be checked and the fitting adjusted to ensure your comfort and clearest vision. As part of the continuing aftercare your optician will be happy to adjust or make minor repairs to them. If you have any problems with your spectacles or contact lenses, please make sure you contact your practice as soon as possible.